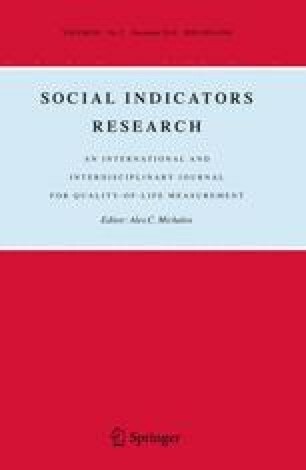 Measurement of affective states in everyday life is of fundamental importance in many types of quality of life, health, and psychological research. Ecological momentary assessment (EMA) is the recognized method of choice, but the respondent burden can be high. The day reconstruction method (DRM) was developed by Kahneman and colleagues (Science, 2004, 306, 1776–1780) to assess affect, activities and time use in everyday life. We sought to validate DRM affect ratings by comparison with contemporaneous EMA ratings in a sample of 94 working women monitored over work and leisure days. Six EMA ratings of happiness, tiredness, stress, and anger/frustration were obtained over each 24 h period, and were compared with DRM ratings for the same hour, recorded retrospectively at the end of the day. Similar profiles of affect intensity were recorded with the two techniques. The between-person correlations adjusted for attenuation ranged from 0.58 (stress, working day) to 0.90 (happiness, leisure day). The strength of associations was not related to age, educational attainment, or depressed mood. We conclude that the DRM provides reasonably reliable estimates both of the intensity of affect and variations in affect over the day, so is a valuable instrument for the measurement of everyday experience in health and social research. This research was supported by the National Institute on Aging, USA (AG13196), the Economic and Social Research Council, UK (Res-177-25-0005), and the Medical Research Council, UK. Jane Wardle is supported by Cancer Research UK and Andrew Steptoe by the British Heart Foundation.